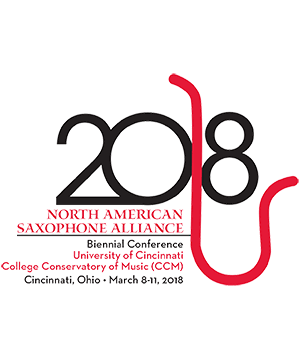 Paul Nolen serves as Associate Professor of Saxophone at Illinois State University. Paul has appeared as soloist, chamber musician, and jazz artist throughout the United States, Canada, Puerto Rico, and the UK. Paul appeared as concerto soloist at the 2012 World Saxophone Congress in Scotland, and soloed with the San Francisco Wind Ensemble at the 2015 WASBE Conference. He has also recorded David Maslanka’s Concerto for Saxophone and Wind Ensemble with the Illinois State University Wind Symphony, available on the Albany Record Label. Paul performs throughout the U.S. with the Iridium Saxophone Quartet, and regionally with the Peoria Symphony and the Heartland Festival Orchestras. He has twice led an International Saxophone Course at the Aberystwyth MusicFest in Wales, UK. He received his Doctorate of Musical Arts and Master of Music degrees from Michigan State University, and his undergraduate degree in saxophone performance from the UMKC Conservatory of Music.